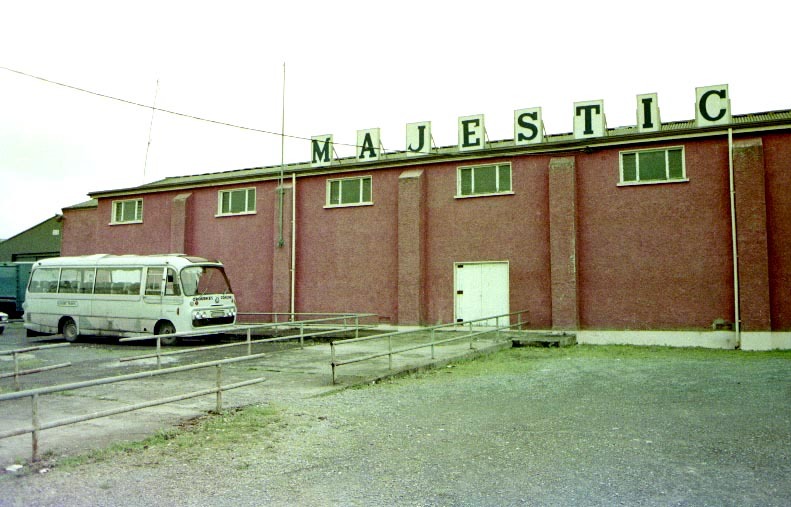 In the Steve West collection, there was a slide of an unid large building initially thought to be the Majestic Ballroom, but after sharing the image with a few folks, we came to the conclusion it wasn't the said ballroom after all. In which case we still have no images of the old NCCR QTH. 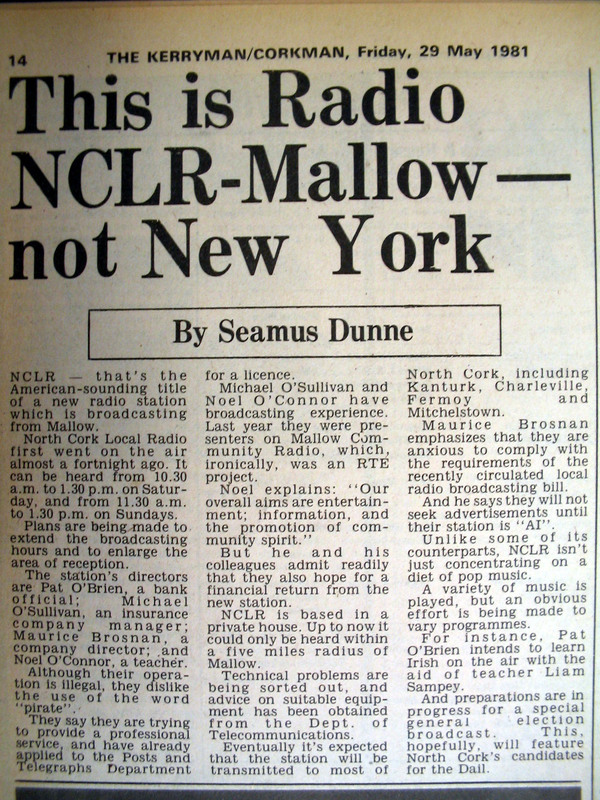 A sad oversight. 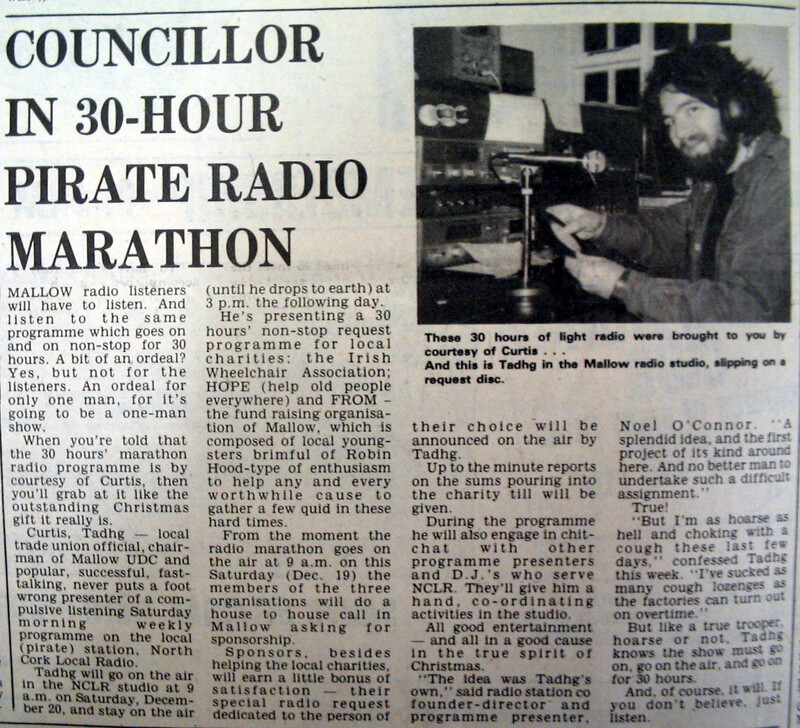 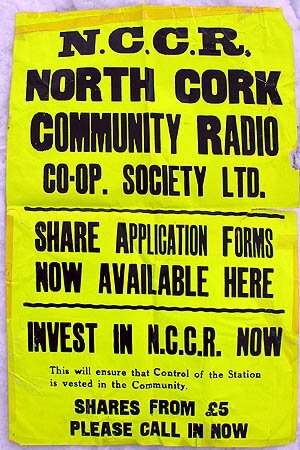 It was always amazed us here in the UK how NCCR and WBEN in Cork City both used 1386 in the late 1980's. 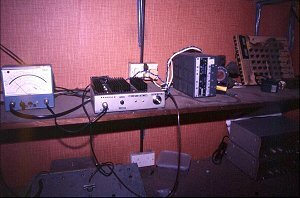 Both made it to the dx receivers in the UK. 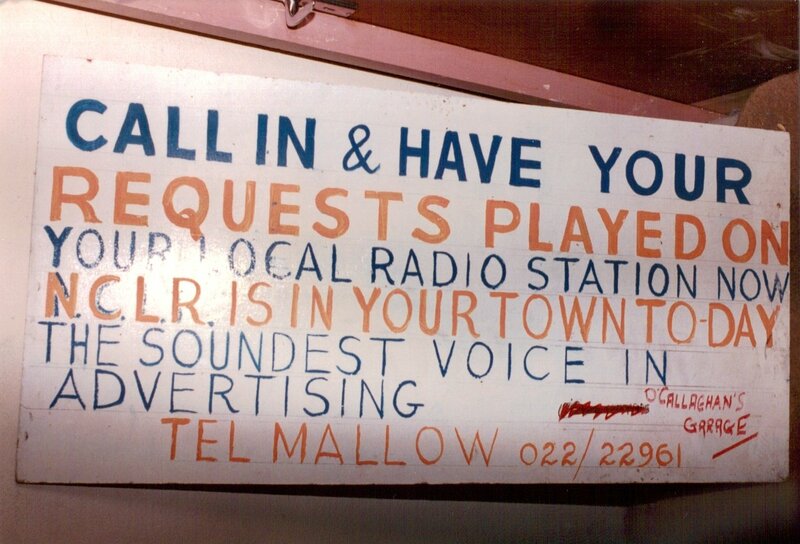 There must have been a point somewhere between Mallow and Cork that the frequency was just a mess. 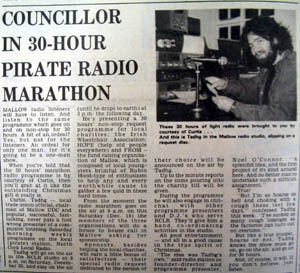 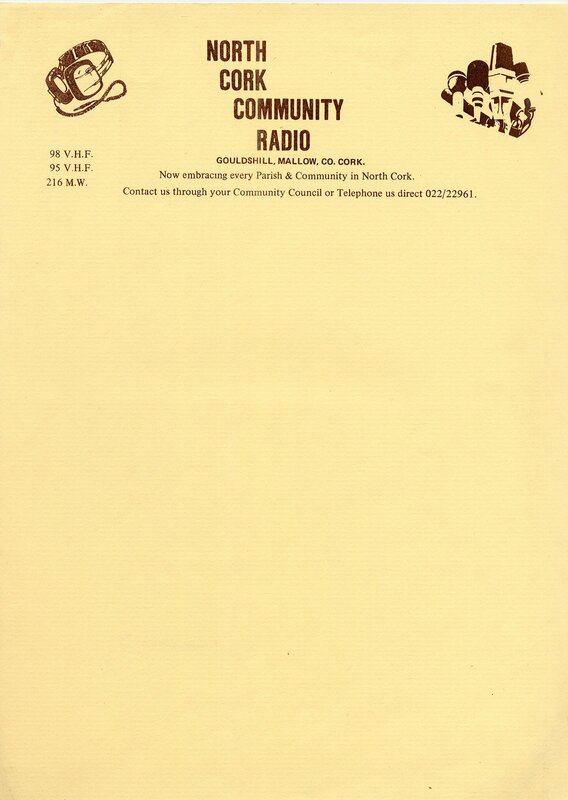 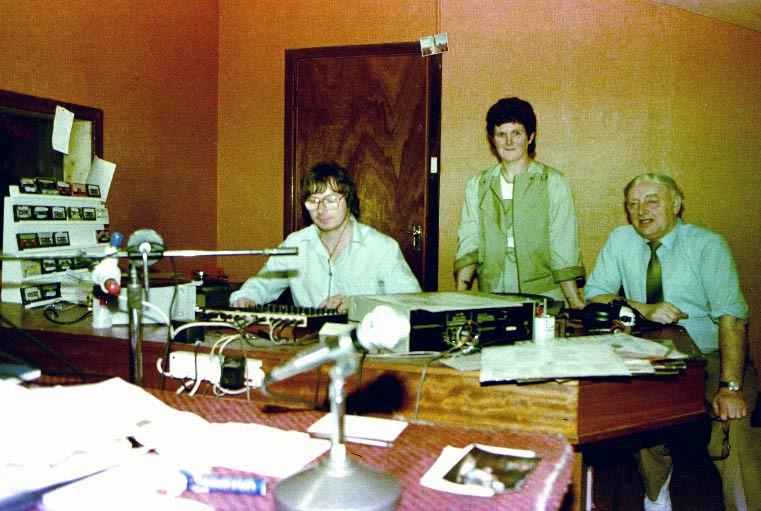 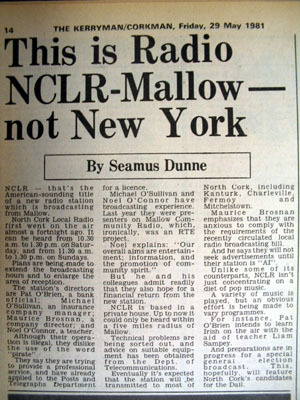 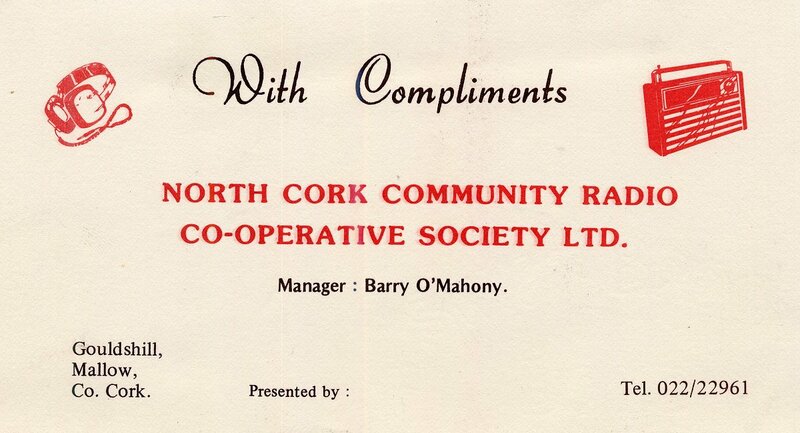 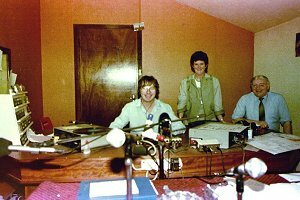 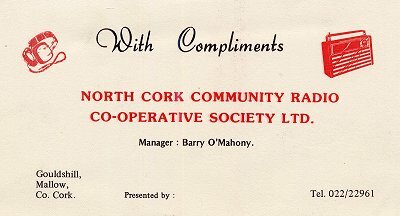 NCCR and WBEN were not the only stations in Co Cork that operated on the same freq. 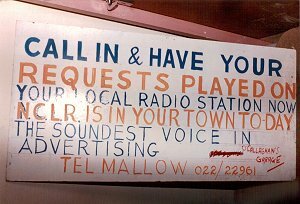 WKLR in Bandon, Co Cork, and Community Radio Youghal were both on 1503!! 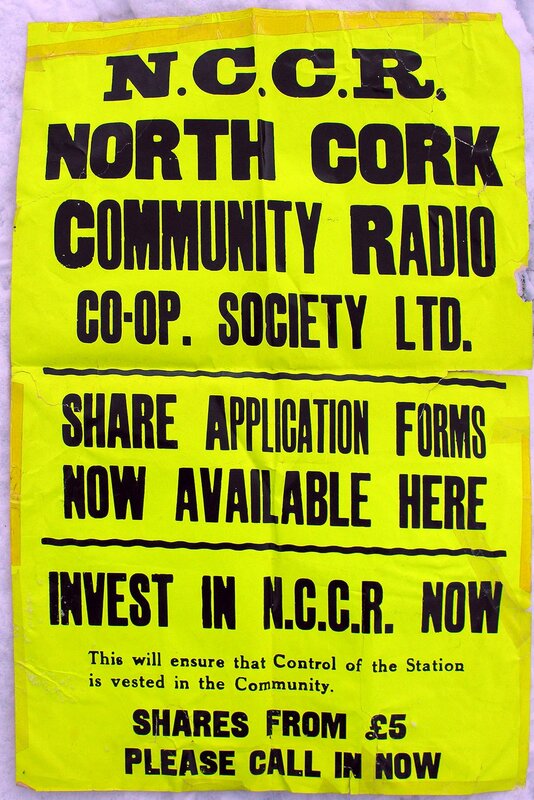 Click to see a pdf of an NCCR advertising leaflet given to visitors during 1986. A series of photos taken at NCCR in May 1985, discovered in the archives here, but from an unknown source. 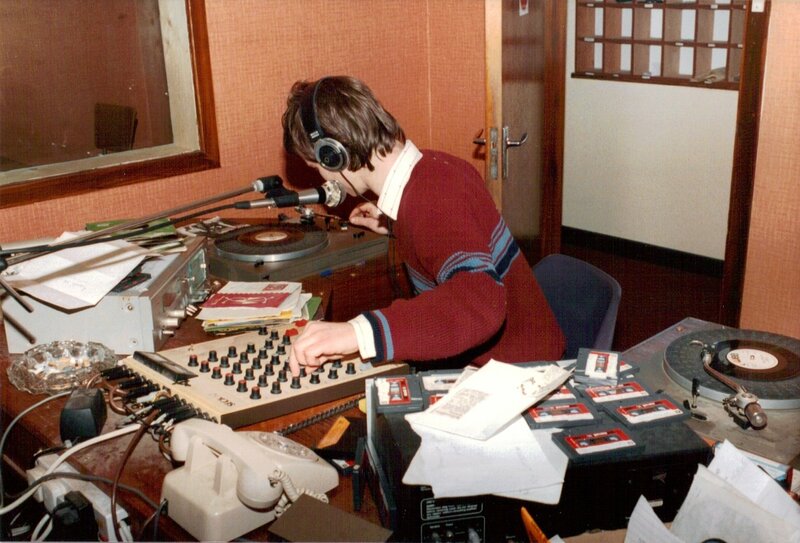 Maybe Rodney?? This is the first image we have discovered of the Majestic Ballroom, yet despite being there in 1986, Ken still has no recollection after seeing this. I suppose one is to be excused if 24 years have passed by without seeing the building again on a photo or in person!!! 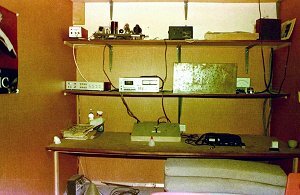 The photos may also show the old MW transmitter on the top shelf??? 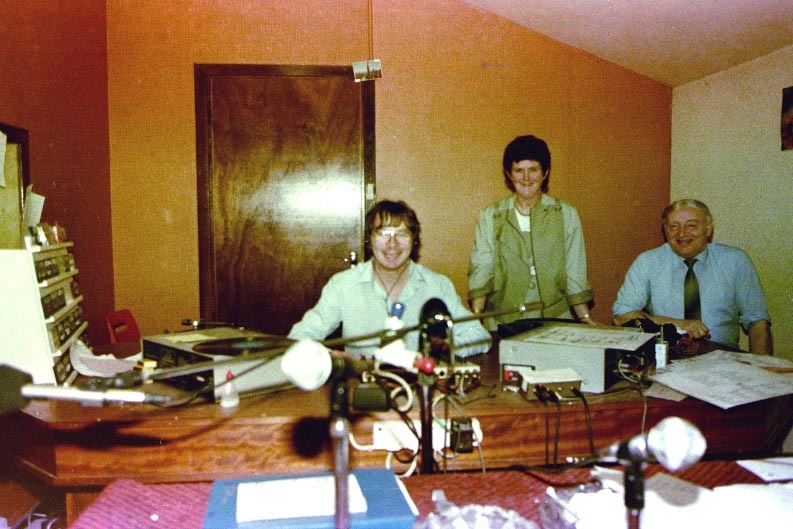 Is that John Denver doing a programme..... hi.. 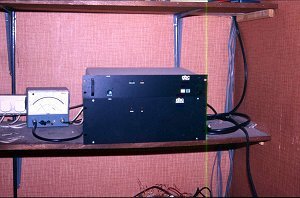 It is a great pity we don't know the source of these images, otherwise we just might have been able to get a better res scan. 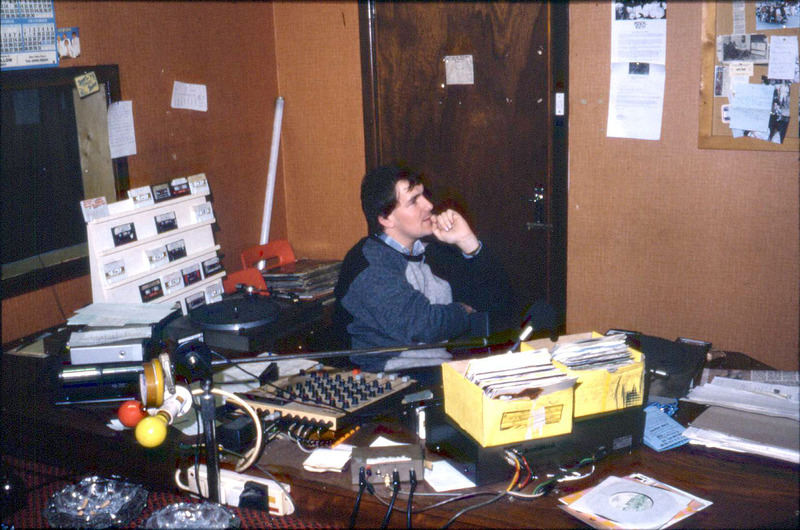 A series of studio photos taken at NCCR in 1983 (October 31st) by Gary. Ken visited the station in 1986, but has virtually zero memory of the studio or the surroundings, due to having no photos at the time. 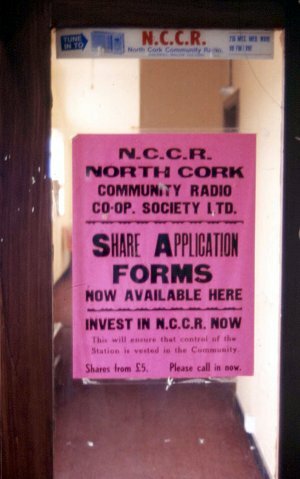 After seeing the photos from Steve West in 2010 for the first time, it seems memories of NCCR are indeed almost gone from the memory banks!! 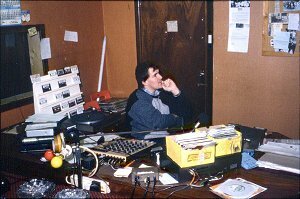 A couple of images taken from the visit in 1986 by Steve West. The yellow poster on the wall can be seen below, with some headed notepaper. On the left, the mobile outside broadcast unit, typical of that era. This and the image of the studio on the right were taken in 1987 during a visit by Steve West. 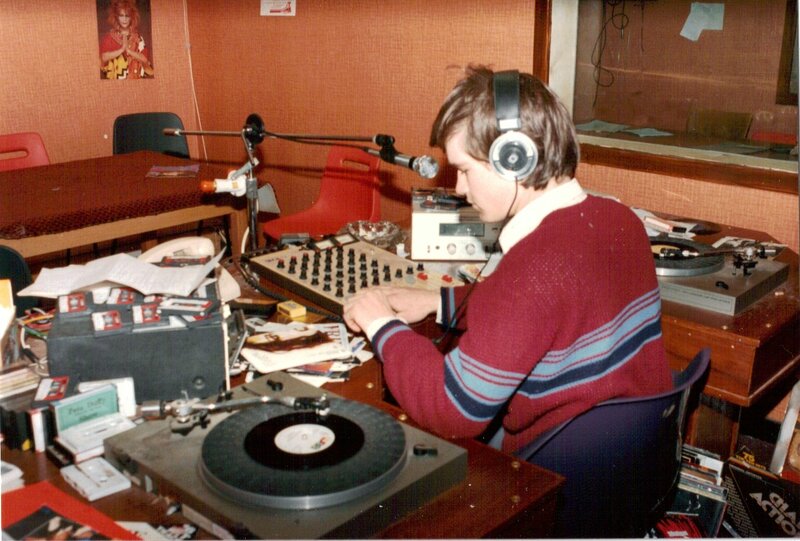 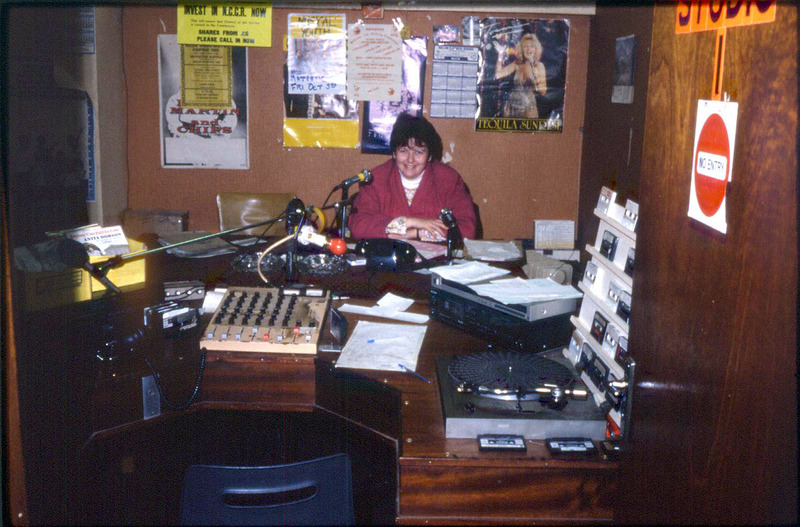 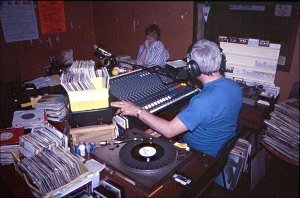 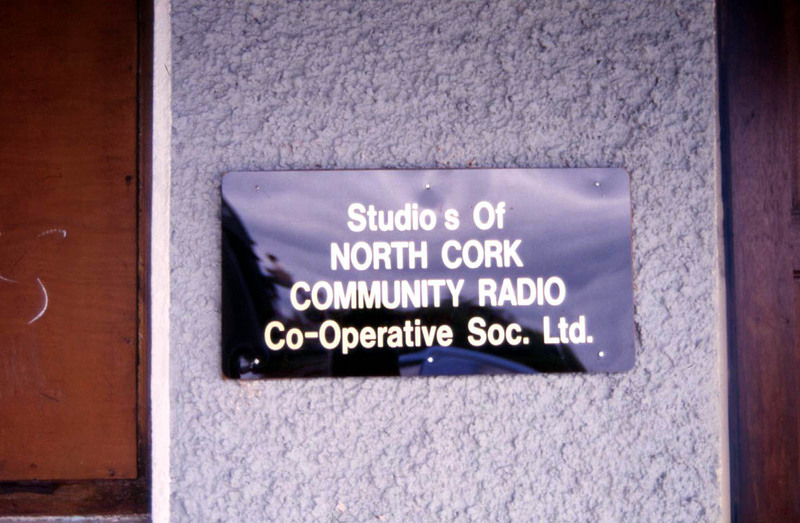 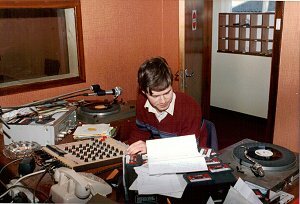 On the left, a plaque on the wall at North Cork Community Radio in Mallow, photographed by Steve West in 1987, as was the transmitter on the right, and FM rig. 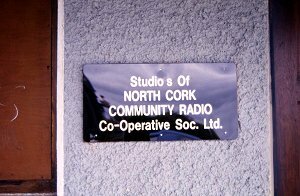 The image below is the NCCR door, again taken in 1987 by Steve. 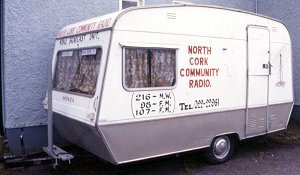 Left: a new FM transmitter courtesy of ABC Waterford. 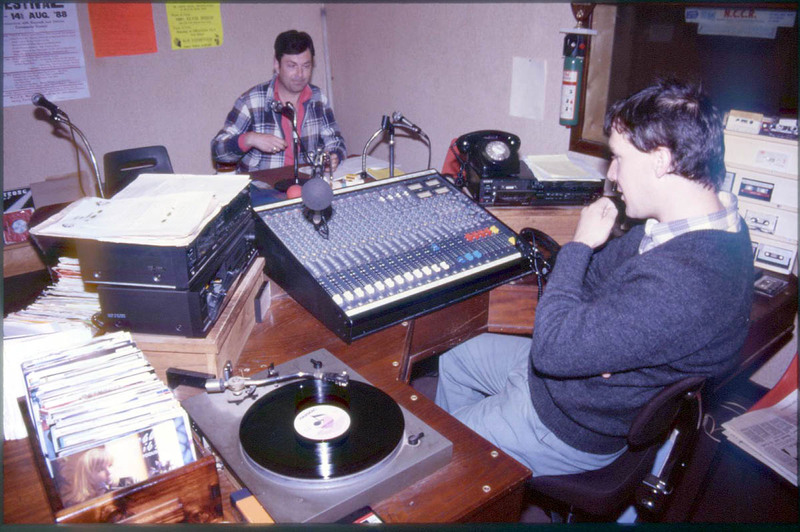 A 1988 studio shot is on the right. Click here to play a clip of NCCR as heard in Scotland on Sunday 13th March 1988. More audio can be found in the downloads section.